A Content Management System is a Web Application used to add, control, edit and delete dynamic material on any given web site. Content Management Systems provide a way for people with little to no IT knowledge to manage and control the content that is displayed on their web site. At VBS we are aware that clients need to stay ahead of ever changing products/markets to stay competitive and dynamic. We help deliver this using WordPress, allowing our clients to easily add/amend content on their websites. 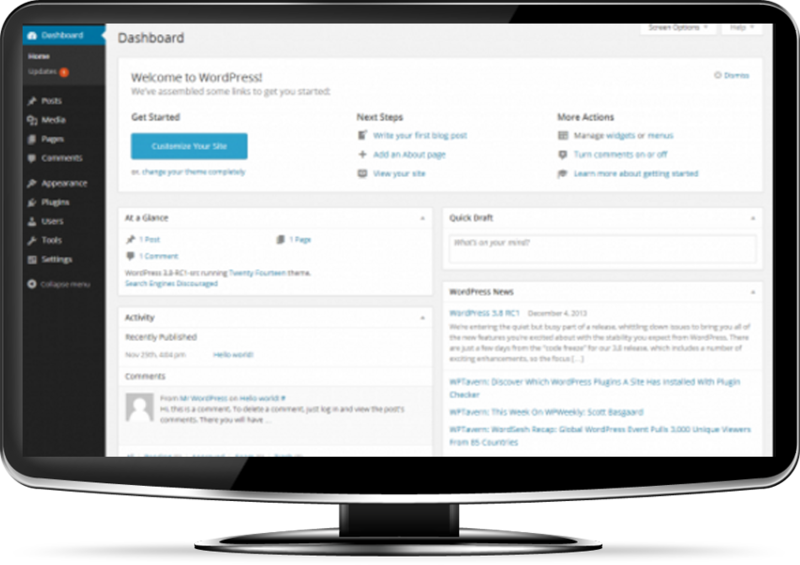 Not only does WordPress provide you with easy access to the content on your website but in the long-term it will reduce the cost of your site. We are confident, no matter what the level of technical knowledge that our clients will have the ability to manage their website with little difficulty. Have you ever had a static website that is now out of date? Instead of paying web developers to update your site for you at an hourly charge every time your web site requires an update, why not avail of a CMS and you could update the web site yourself any time you needed. Does your web site use a Content Management System that is just too slow, confusing, hard to use, impossible to understand or simply just doesn’t do what you require, then WordPress is for you! Maybe your website is out of date, looking a bit old fashioned? Maybe you’re thinking that you need a new website but don’t have time to learn a complete new Content Management System? VBS use WordPress in all our websites as part of our CMS Package. STAY AHEAD OF THE COMPETITION. LET US CREATE A UNIQUE & DYNAMIC WEBSITE FOR YOU.